1. Face - Moisturize your face & dab on concealer where required. I applied Chambor Radiant Touch concealer on under-eyes, around the nose, chin & between the brows. Set this with a compact of your choice; I've used the Rimmel Stay Matte Powder. Your base makeup is in place! 2. Eyes - Line your eyes with kajal, any black kajal will do. A blue one, actually will work great! 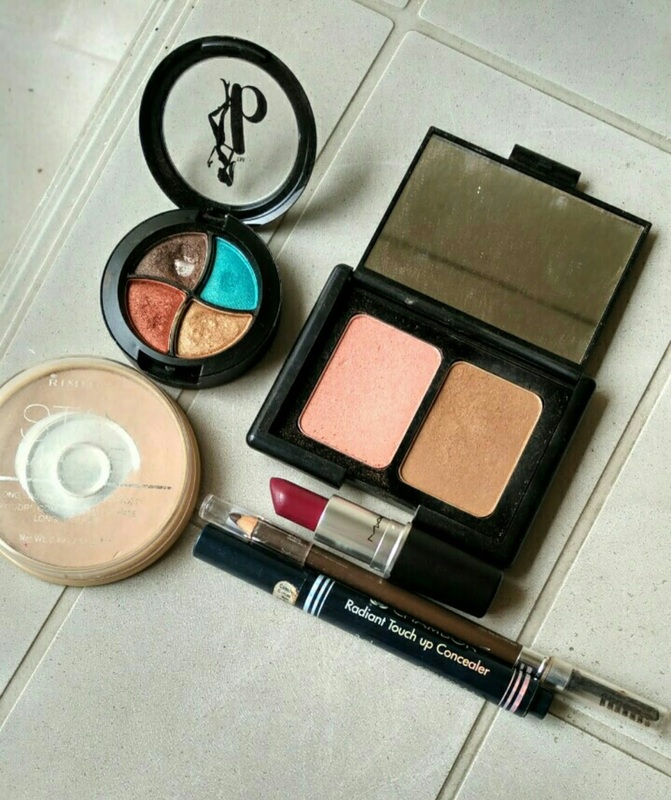 Now take a blue eye shadow on a smudger brush & smudge out the kajal. The eye shadow will stick on to the kajal & stay on for hours. I used the Lotus Herbal ColorKick Kajal & BeABombshell eye shadow quad that I had received in my Fab Bag. Next, fill in your brows if required. I have used the MakeUp Academy Brow pencil in Brown. 4. 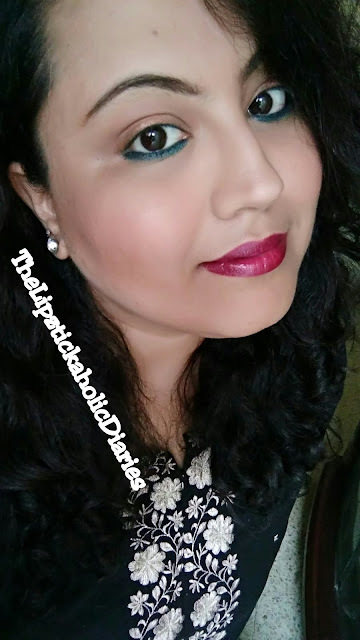 Optional - To balance out the bright eyes & deep berry on the lips, I used the Elf Contour & Highlight duo, which my friend Krupa from IshtyleAWhile passed on to me in a recent 'makep swap'. You can use a neutral blush like Maybelline Cheeky Glow in Creamy Cinnamon to do this. You can also skip this step if you wish, to make the eyes & lips stand out. It's a no-fuss, no-eye shadow look that you can create in a matter of minutes :-) Hope you liked this quick look that I created.